Caring for children’s hair is different from caring for adult hair. While the growth cycle may be the same, it is important to ensure that the onset of hair growth is not disrupted with harsh hair care products.Children tend to absorb nourishment and or toxins much easier than adults, through their scalp. As well as having sensitive scalps, a child’s hair strand is finer and rounder. This is associated with the absence of a medulla. The medulla is the central core of the hair that develops as we get older and is associated with hair becoming coarser. In addition to the absence of a medulla, Sebum (the hairs natural protective oil) replenishes the average adult hair shaft every two or three days. Whereas in children, it takes much longer. 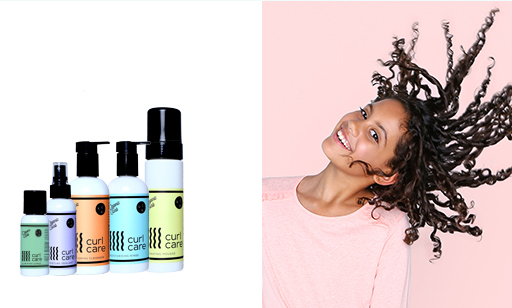 All products in this curl care range have only one purpose, and that is to serve the curl and no other.